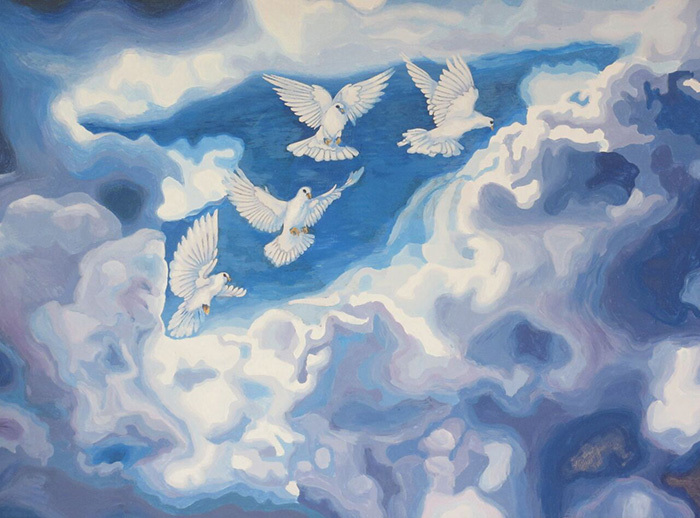 A storm brewing with flying doves. 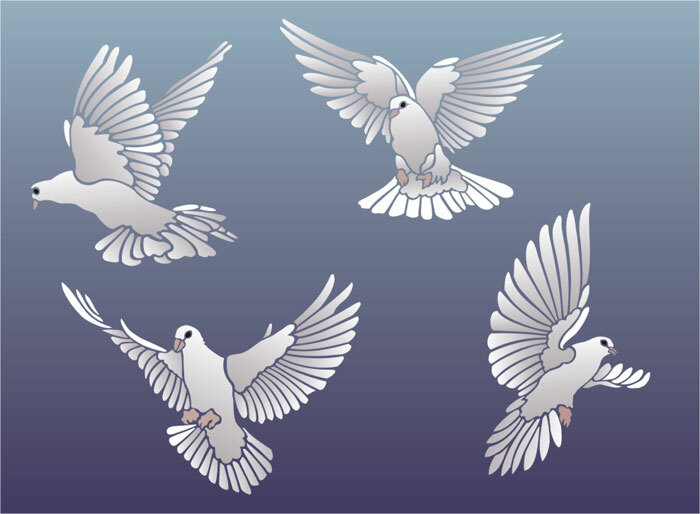 A symbol of peace. Mixed media on board.